Young Meli Derenalagi stepped in for the injured Jerry Tuwai as he made his debut at the Dubai 7s yesterday. In the 5th Place semi-final, despite Tuwai’s absence, the team’s offloading brilliance, scorching pace and neat footwork handed them a handsome 24-7 advantage after seven minutes. 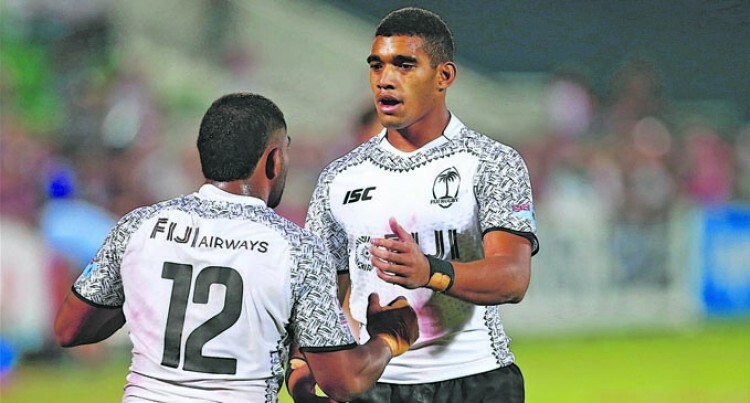 Marcos Moroni led the way for Argentina with his athletic try off the first kick and his try at the start of the second half, but Fiji had too much to handle despite finishing the 31-21 win with six players after Amenoni Nasilasila was red-carded. Derenalagi in an earlier interview indicated that he hopes to continue the 7s tradition his chiefly village of Nawaka in Nadi were renowned for. “Rugby is in our blood for sure and it has been a while for someone from our family in Nawaka to continue on that family tradition,” the 20-year-old said. He was named by head coach Gareth Baber as the 13th man and would only come in once a player is injured. Samoa left Dubai with the Challenge Trophy in their luggage after showing great resilience and focus in a hard-fought 33-24 defeat of France. With a 21-7 cushion after the first half, Samoa had looked fairly comfortable. However, an early second-half yellow card to Siaosi Asofolau allowed France space to play with and they made the most of it, sparking to live with tries from Stephen Parez, Jonathan Laugel and Tavite Veredamu. The problem for Jerome Daret’s men was that their opponents kept their score ticking over too and ultimately Samoa’s faster start helped them to finish on top. New Zealand’s record 10th appearance in the Emirates Airline Dubai Rugby Sevens Cup final saw them end their title drought at the 7he Sevens Stadium, the 21-5 victory over USA giving the All Blacks Sevens their first title here since 2009. Stephen Tomasin running in the try but captain Madison Hughes’ conversion went just wide of the left upright. “There wasn’t much said (before the final), said Knewstubb, who was named the HSBC Player of the Final. Meanwhile, England took out the bronze medal for the third year in a row after they pipped Australia 15-14.